Spring/Autumn Greetings across the Globe! While everyone is plugging through and winding down the remaining academic year, IAMSE is cranking up for the Annual Meeting. We hope many of you will be able to attend this outstanding program in June. The meeting includes several meals and the general business meeting where you can meet and network with fellow members. Don’t forget to invite a colleague to come with you! Scroll down to see the latest meeting updates and other IAMSE news. It’s spring in my neck of the woods and that means annual meeting season is near! Hopefully you are already registered for the 2015 IAMSE Annual Meeting June 13-16, 2015. If not, go to http://www.iamseconference.org for all the details. Reading your Powerpoint isn’t Teaching! Thank you to everyone who responded to the recent IAMSE Mentoring Program Interest Survey. The survey was created to help assess current members’ interest in a mentorship program, determine topics of interest for mentees, determine topics willing mentors could provide, and start a list of potential mentors who will be contacted later to post a mentoring profile and availability. There were 143 responses (approximately 16% of the membership). An overwhelming majority of respondents (141/143) supported development of a mentoring program, with 82% of respondents expressing interest in serving as a mentor and 80% of respondents expressing similar interest in seeking mentorship for themselves. Many topics were of interest for potential mentees and mentors were available for all topics. However, we also discovered a few areas where additional expertise may be needed from within or outside the membership (preparing an educational grant, student affairs, personnel and management). In summary, the results reflect the collaborative philosophy of IAMSE and affirm the perception that IAMSE members value professional development and sharing of expertise throughout one’s career. Stay tuned for ongoing updates on this program and opportunities for volunteering and seeking help. Work on a new website is underway. You may be contacted as an individual member or an IAMSE committee member to provide input on changes. Alice Fornari was promoted to the rank of Professor at Hofstra North Shore LIJ School of Medicine. Bruce Newton is now the Chair of Anatomy at Campbell University School of Osteopathic Medicine. Richard Vari received a 2014 Faculty Teaching Award for outstanding teaching of Renal Physiology from the Class of 2016 and was recently promoted to Senior Dean for Academic Affairs at Virginia Tech Carillon School of Medicine. 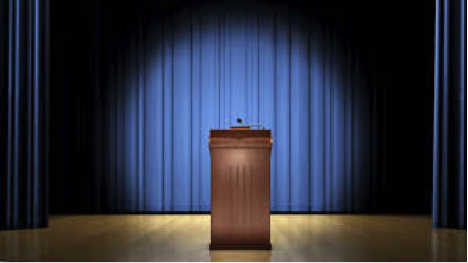 If you think you know what students expect from a course director – think again. The surprising results show that students desire qualities in a course director that are different from what course directors think students want. This book gives advice on how to manage the differences in expectations between students and veteran or beginning course directors. The authors learned the hard way and bring over 60 years of collective course director and academic dean experience to bear on topics such as "Living with our Differences, Course Organization, Responding to Student Issues, Measuring Course Effectiveness and Pitfalls to Avoid". Written from the perspective of medical education, this book is germane for anyone who directs a health-related professions or college-level course. This is an essential, concise survival guide for anyone who desires to be a course director or, more likely, who has been thrust into the position and needs a primer. Get the upper hand on the students (and the administration) right from the start by applying the advice given in this book. Newton, Menna and Tank. 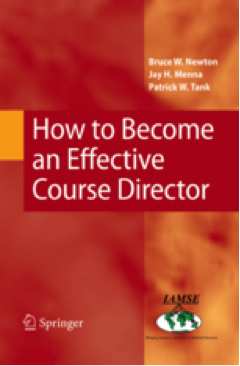 How to Become an Effective Course Director. Springer, 2009. Make sure to visit the IAMSE booth at some of these upcoming meetings!